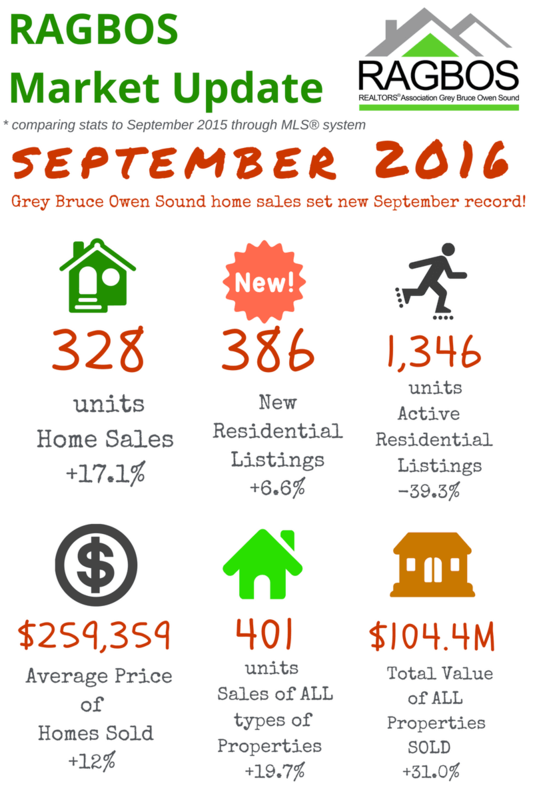 Grey Bruce Owen Sound home sales set new September record Residential sales activity recorded through the MLS® System of the REALTORS® Association of Grey Bruce Owen Sound posted another double-digit year-over-year gain in September 2016. 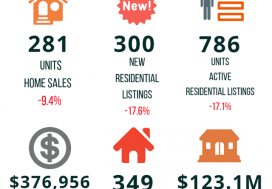 Home sales numbered 328 units in September 2016. This was a new record for the month, beating the previous September record set last year by 17.1 per cent. On a year-to-date basis home sales totaled 2,415 units, running 17.9 per cent ahead of the first nine months of 2015. With just three months to go this year, 2016 is easily on pace to be the best year ever for home sales in the region. The average price of homes sold in September 2016 was $259,359, up 12 per cent on a year-over-year basis. On a year-to-date basis the average price of all home sales over the first nine months of 2016 was $258,832, rising 6.3 per cent. 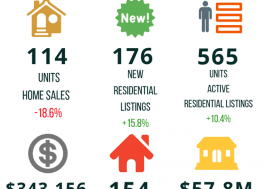 New residential listings on the Association’s MLS® System numbered 386 units in September 2016. This was an increase of 6.6 per cent compared to September 2015, which provided some relief on the supply side following four months of double digit year-over-year declines. That said, given current levels of demand overall supply continues to fall. 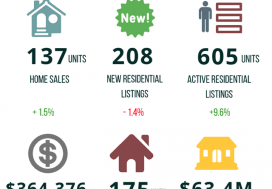 Active residential listings totaled 1,346 units at the end of September, down 39.3 per cent from the same time last year. This was the lowest level for this time of year in over a decade. The number of months of inventory stood at 4.1 at the end of September, down from 7.9 months at the end of September 2015 and well below the long-run average for this time of the year. The number of months of inventory is the number of months it would take to sell current inventories at the current rate of sales activity. The dollar value of all home sales in September was $85.1 million, up 31.2 per cent on a year-over-year basis. Sales of all types of properties numbered 401 units in September 2016, up 19.7 per cent from the previous September. The total value of all properties sold in September 2016 was $104.4 million, an increase of 31 per cent from a year earlier.